Log cabins often hold a historical and calming influence on today’s hectic lifestyles. People for Palmer Park (PFPP) will once again celebrate that significance by hosting a Grand Opening Celebration with “Concerts in the Cabin” on Saturday, June 24 and Log Cabin Day at Palmer Park on Sunday, June 25, 2017. These events are one of the only times of the year people can get a peek inside the 132-year old cabin, the only one within the Detroit city limits. This year, the first and second floors, as well as the magnificent, newly restored stained glass windows, will be on display.The Saturday concerts in the historic cabin will celebrate the work to restore the cabin and unveil the stained glass windows. Jazz, Blues and Motown, a musical journey from the late 1800s to the present will feature widely-recorded, world renowned jazz musicians A. Spencer Barefield (guitarist), Shahida Nurullah (vocalist), and Ibrahim Jones (bassist). The shows at 4 pm and 7 pm will include a tour of the entire cabin along with a reception with wine and refreshments. Tickets can be purchased online at logcabinconcerts2017.eventbrite.com or by calling 313-891-2514. 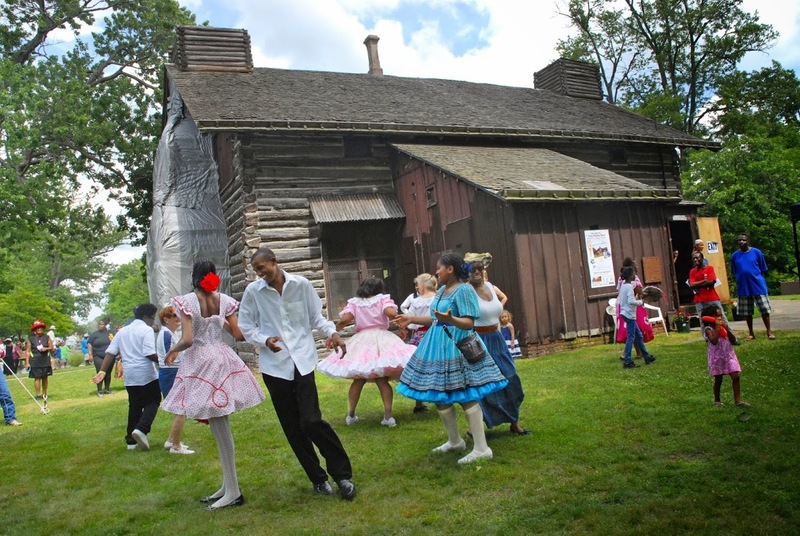 The next day, on Log Cabin Day, a free festival for the community from 1-5 pm, highlights include an ice cream social (free ice cream from Guernsey Farms Dairy for the first 500); live music with the Chelsea House Orchestra youth fiddlers; square dancing; traditional blacksmith and spinning demos; an exhibit of African American quilts from artists at Detroit Unity Temple and Gee’s Bend, Alabama; a Civil War camp with the 102nd USCT Black History group; historians and actors in period attire and hat and bonnet-making with a parade and contest for children. Built in 1885 by Senator Thomas Palmer and his wife, Lizzie, as their summer retreat, the cabin has undergone major renovations over the past few years. The City of Detroit announced in 2016 that it would stabilize and restore the cabin. Some of the City’s completed renovations include a new cedar shingle roof, foundation, porch canopy and back wall. In addition, PFPP raised money to restore all of the cabin’s original stained glass windows. Future projects at the cabin will include installing lighting, restoring the chimneys, all interior woodwork, fixing the historic pocket doors, new sidewalks and rebuilding the historic kitchen. Palmer Park, located just west of Woodward Ave. between Six and Seven Mile Roads, is comprised of 296 acres of lawns and historic woodlands, a public golf course, tennis courts, splash park, hiking and biking trails, Lake Frances and its lighthouse, along with the Detroit Mounted Police. PFPP is a volunteer, non-profit 501(c)(3) organization, started in 2011. It is the adopt-a-park organization that works closely with the City of Detroit on all events and activities in Palmer Park.